*Parking is not available in the Alfalfa’s Market parking lot. Please utilize surrounding street parking or the library parking lot. 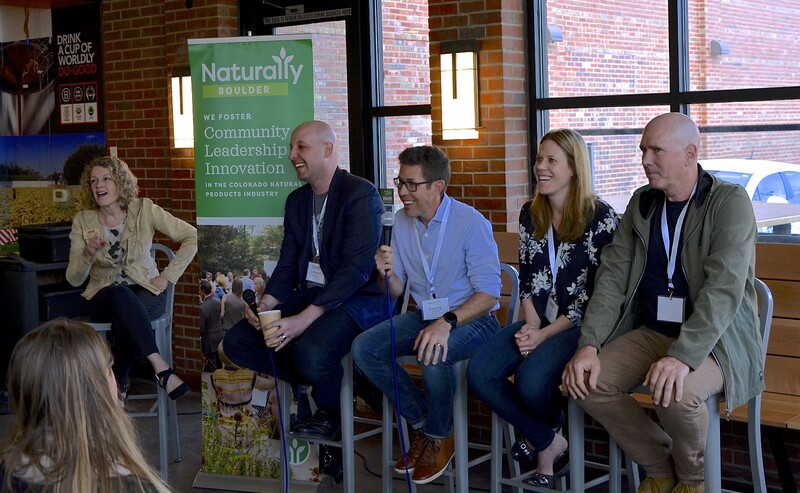 On the last Wednesday of every month, Naturally Boulder’s Morning Mingles are THE place to learn with 100 natural products professionals and network around a timely, hot topic. The Morning Mingle will be viewable on our Facebook livestream. View the Morning Mingle on our Facebook livestream! If you’re not taking advantage of Influencer Marketing yet, you’re missing out on a huge opportunity to expand your brand’s recognition, grow your following and increase your engagement! Our expert panel will provide keen insights to explain why influencers are a vital component of successful marketing plans. The panel will also share the best practices for finding and collaborating with an influencer. Shahla is the President of Think Media Consulting, which was founded on the principles of creating smart, relevant social and digital marketing strategies that drive revenue and reduce cost. Shahla previously served as the Vice President of Group Publisher, where she was responsible for leading the strategy and implementation of content distribution through e-commerce, e-media, magazines, books and events to drive revenue and EBITDA growth. She also gained experience in multimedia advertising through her role as Director of National Sales at Dex Media, and as a Publisher at Penton Media and Weaver Multimedia Group. Lindsey brings over seven years of CPG experience in both current business/delivery and up-stream/design roles. Before serving as the Vice President of Marketing and I and Love and You, Lindsey was a Senior Brand Manager at Abbott and an Assistant Brand Manager at Proctor & Gamble. Jamie is a registered dietitian, nutrition and food journalist, and digital influencer who operates the health-centric food blog and social media accounts, Dishing Out Health. She grew up in the Tampa area but moved to Birmingham, Alabama in 2016 to work as the Nutrition Editor at Cooking Light magazine. Prior to that, Jamie worked as a Clinical Nutrition Specialist with a focus on counseling organ transplant recipients at a hospital in Tampa. She completed both her undergraduate dietetics degree and graduate clinical nutrition degree at Florida State University. Jamie recently relocated to Denver, Colorado where she works as a recipe developer and health influencer who champions the idea that food and the power of cooking can heal, inspire and help us thrive. Natalie is an international movement specialist focused on helping individuals to discover their true happiness through moving. She is a pioneer focused on her genuine love of craft and quality. For Natalie, being active is like oxygen, it keeps her alive and is her biggest passion. Creator of NUFit®, Natalie has helped women all over the world achieve their goals. She prides herself on creating positive, high-energy environments where people thrive. Her philosophy is rooted in self – love and helping women find their true inner strength, from the inside out. Natalie has been named “Top Fitness Influencer” and a “Female Trainer to Watch” by many publications such as Harpers Bazar, US Weekly, Shape Magazine and Women’s Health. As her brand continues to grow, Natalie has stepped into a Creative Director role. The NU team specializes in developing and producing content for brands that want an “insider’s” point of view. Natalie prides herself on her years of training and loves helping brands create extraordinary health and wellness driven content; it’s proof that all you need is a point of view and a place to create. Paige, a native of California, grew up in the natural foods industry and is inspired by making better food accessible to more people. She is currently the Marketing Director for Purely Elizabeth. Paige managed Udi’s gluten free bakery business for Boulder Brands, where she has worked in brand management roles since 2014. A fluent Spanish speaker, Paige studied International Business at Universidad de Barcelona. She holds a BA from the University of Colorado. In 2011 and 2012, Paige volunteered for the Traditional Medicinals Foundation in the Thar Desert, India. Refund requests will be honored up to 48 hours before the event.